Fuji music has been taken to another level. An upcoming Fuji legend Dammy Krane teams up with a Fuji legend - Pasuma who both hail from two entirely different generations. 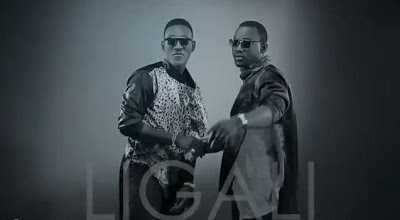 Dammy Krane who is currently signed to 2face Idibia's 'Hypertek Records' still keeps it fresh with his swag alongside Pasuma in this Fliptyce produced song. The video was directed by Patrik Ellis.